Toothpaste is probably your number one tool in the fight against tooth decay, so you want to make the right choice. 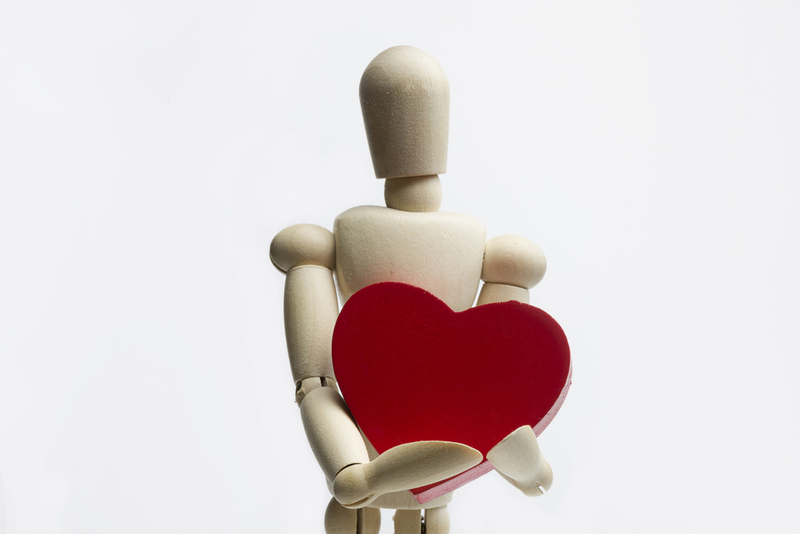 There are so many options out there, it can be overwhelming, but we show you what to look out for. Australians, it seems, have earned a reputation for being laid back. Unfortunately this attitude extends to our oral hygiene habits too! Did you know that only half of us brush our teeth twice a day? This isn’t good enough, considering the vast majority of adults have some form of tooth decay and almost three-quarters of children scoff down too much sugar. A powerful oral hygiene routine goes a long way towards keeping decay at bay. Without this, bacteria will grow to form plaque on the teeth and gums, leading to rotting, infection and cavities. Left unchecked, bacterial plaque can also cause gum disease. When it comes to brushing your teeth, there are so many tools to choose from, it can make your head spin. How do you choose the best toothpaste for you and your family? There’s no right or wrong brand, but make sure your toothpaste contains fluoride. Additionally, look out for the ADA Seal of Approval on the label. This guarantees that your toothpaste has been endorsed by independent dental professionals, after being rigorously tested to meet the claims it makes. Contrary to popular belief, it’s better NOT to rinse your mouth straight after brushing. Spit out the excess foam, but it’s completely harmless to swallow the rest. Many people believe that toothpaste must be rinsed off, like soap, but this isn’t true. One study shows you can boost tooth protection by 40 per cent by avoiding rinsing your mouth after you brush. 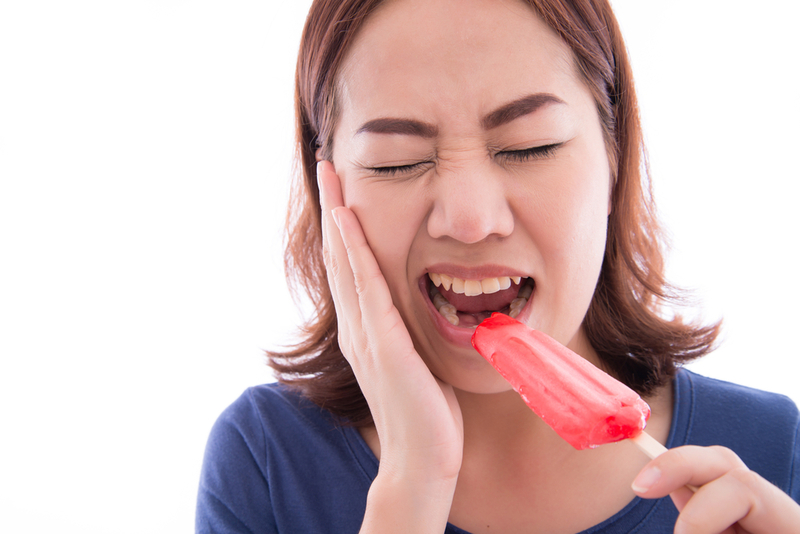 You probably have sensitive teeth if you experience discomfort when brushing or consuming hot and cold products. If this is you, make sure you buy toothpaste that’s designed to dull the reactivity that you feel. How does sensitive toothpaste work? By using potassium nitrate, strontium chloride and other ingredients to stop pain signals from reaching the nerve of your tooth. This helps people who suffer from thinning tooth enamel, receding gums or porous dentine, which results in painful and exposed nerve endings. Sensitive toothpaste blocks the exposed tubules within the dentine to minimise pain. 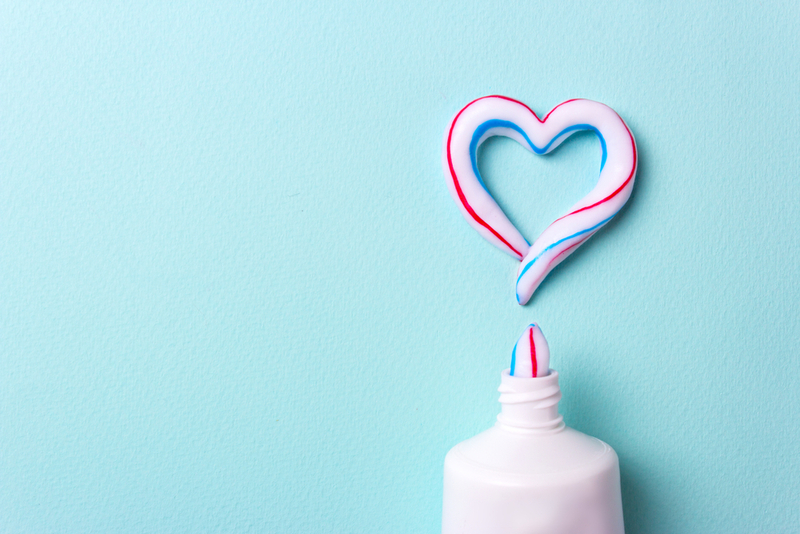 There’s a genuine need for sensitive toothpaste on the market, but it’s important not to use it as a band-aid solution to cover up more serious problems, such as decay. Desensitising toothpaste shouldn’t be used as a substitute for regular check-ups! If your sense of reactivity is heightened, you should avoid whitening products, since the harsh chemical agents can worsen your symptoms. Although there’s a flood of whitening products on the market, you’re better off saving your money. Consumer watchdog Choice examined a batch in 2012 but found that none contained the bleaching agent necessary to change the colour of your teeth. How do you choose the best whitening toothpaste? The most important ingredient to look for is fluoride. Don’t bother using “whitening products” such as charcoal pastes. These don’t work because they contain low concentrations of whitening agent, which doesn’t linger on your teeth. Only a proper whitening session with your dentist can deliver the pearly whites that you desire! Everyone is at risk of decay, but some more so than others. The best protection from tooth decay is fluoride, because it’s absorbed by dental plaque and demineralised enamel. A standard toothpaste contains adequate fluoride levels (approximately 1000 to 1500 ppm), but you can buy a high concentration product that contains 5000 ppm. Your dentist will tell you whether or not this is necessary. More than 26 000 children and teenagers are admitted to hospital to treat tooth decay every year. This is both alarming and preventable! For young children, it’s best to use toothpaste with less fluoride than standard products, since there’s a risk of ingestion. Many children’s toothpastes contain 400 – 550 ppm of fluoride. Tooth decay frequently shows up in baby teeth, so you need to begin a healthy oral hygiene routine for your child as early as possible, following the guide below. Up to 18 months: Gently wipe your baby’s teeth with a clean and wet cloth before their first tooth appears. Brush their first teeth daily with a teether toothbrush using plain water after their last feed for the day. We don’t recommend toothpastes containing fluoride for children under 18 months, since they’re likely to swallow it. 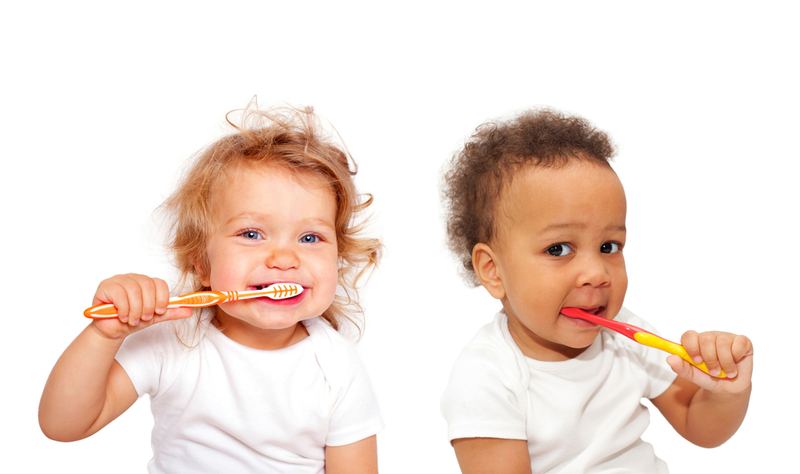 18 months to 2 years: Children should use a pea-sized amount of low-fluoride toothpaste in the morning and before bed. Encourage your child to thoroughly spit out the remaining amount. It’s a good idea to demonstrate the brushing technique on yourself, so they understand what an effective routine looks like. 2 to 8 years: Teach your toddlers how to brush their teeth on their own. You’ll need to monitor their technique to make sure they’re doing it correctly, until they’re around eight years old. 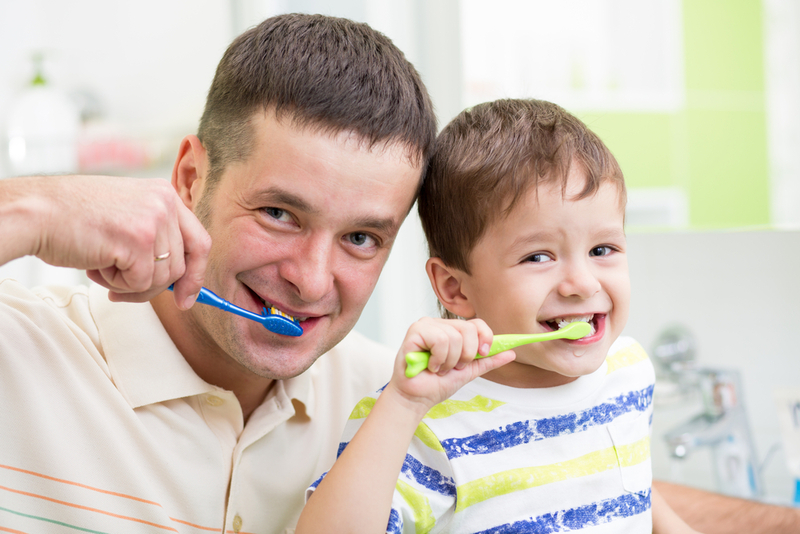 Rinse your child’s toothbrush thoroughly after each use and air dry to reduce bacteria. Replace toothbrushes every 3 to 4 months or when the bristles begin to fray. 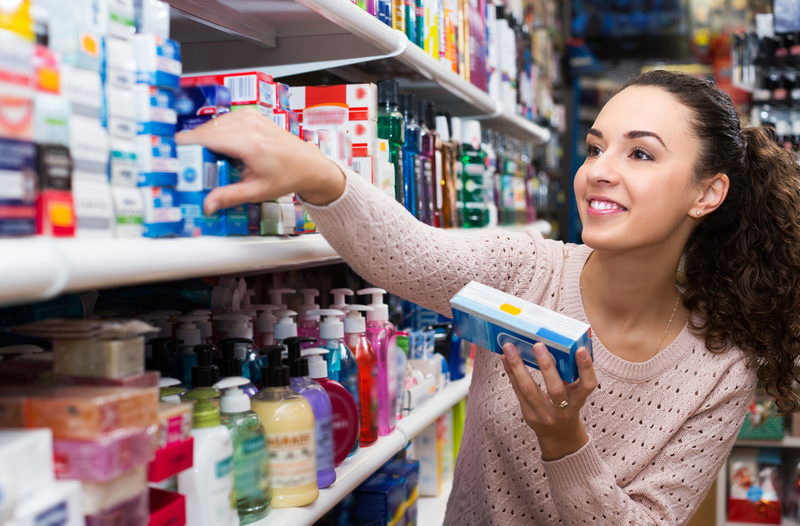 If you have any questions about choosing the best toothpaste, we can help you make the right decision and show you how to develop an effective oral hygiene routine. Please contact us on (02) 9997 1100 to book an appointment or find out more.